Poster workshops are a great way to gain valuable information from designers explaining their individual process and inspiration when creating their work. 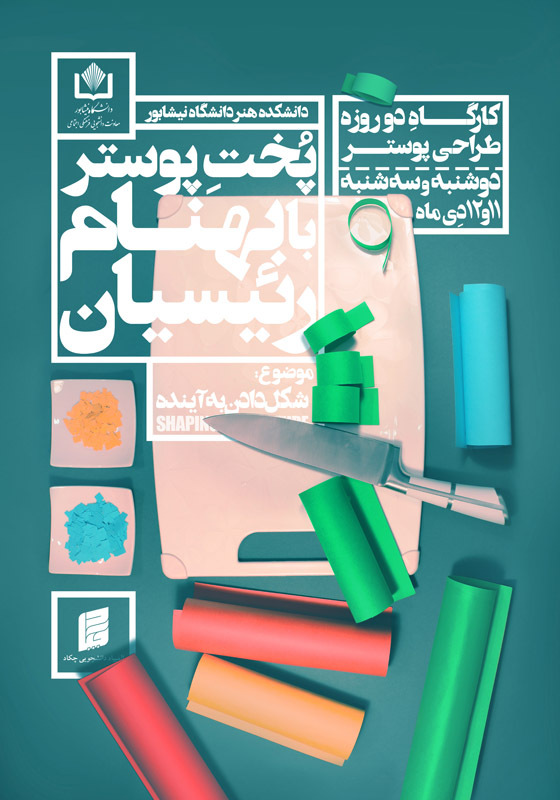 Today we focus on an upcoming poster workshop organized by poster designer and curator Behnam Raeesian happening at Neyshabour Art University in Iran. Formation – Social Communication by Behnam Raeesian. In this two-day workshop, Raeesian shows the correct process of poster design and implementation based on the techniques of the day. It is worth noting that a maximum of 15 applicants from the students of the Faculty of Art of Neyshabour will be selected to attend this workshop. This is a great opportunity for students at the University to expand their creativity and approach to poster design.